Rev. Dr. William J. Barber, II and the Rev. Dr. Liz Theoharis speak to faith leaders and moral activists outside the U.S. Capitol building on Monday, Dec. 4. 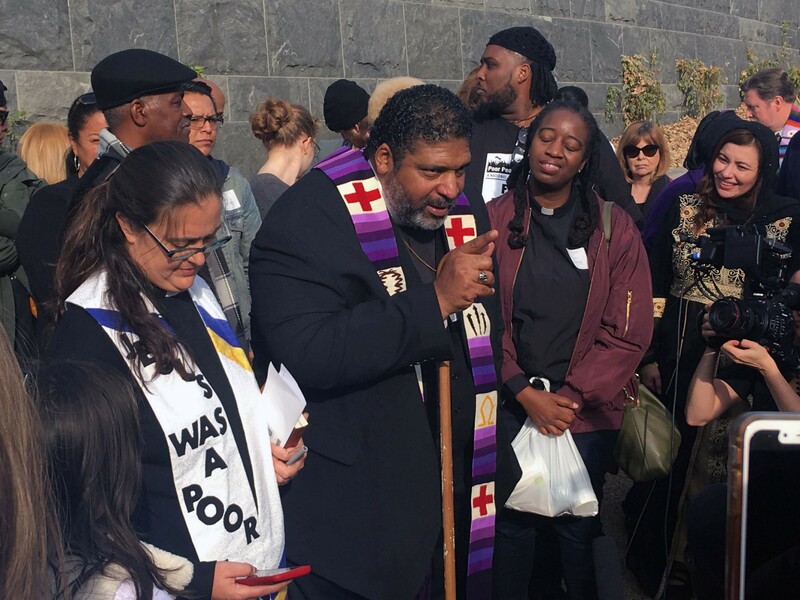 The delegation, organized by the Poor People’s Campaign: A National Call For Moral Revival, attempted to deliver an open letter to Senate Majority Leader Mitch McConnell in regards to tax reform legislation. The delegation was not able to meet with the majority leader. Repairers of the Breach is a nonpartisan not-for-profit organization that works with diverse religious leaders from every U.S. State and the District of Columbia to develop a prophetic social justice vision rooted in moral analysis, moral articulation, and moral action. To learn more or to donate click here.